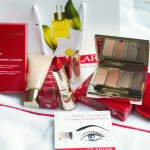 FRESH SKINCARE AND COSMETICS | Beverly's Net: family. food. fashion. 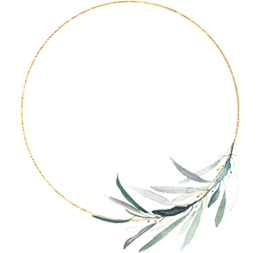 FRESH SKINCARE AND COSMETICS – Beverly's Net: family. food. fashion. Sometimes, I totally judge a book by its cover. There was just something so delectably sweet, neat, and, well, fresh about the box of goodies that fresh cosmetics delivered to my door! The beautiful box was a gorgeous duck egg blue, and came tied with a navy gosgrain ribbon… like a birthday gift. I swooned. Both kids were prancing around the living room when I opened everything up, so it was a real challenge trying to get a decent photograph – they were SO excited too, and kept grabbing at everything, and insisting they get to try out the stuff to! The boys ended up with pink lipbalm all over their lips (their request, not mine)…. but that’s another story! Here are the lovely fresh goodies. 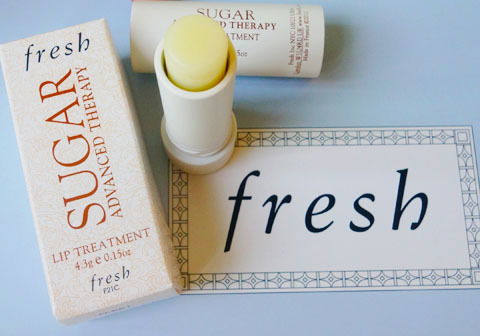 I was delighted with the fresh Sugar Advanced Therapy Lip Treatment. I started using this a few years ago when it was released, and have already gone through a few tubes of the stuff. I was beyond pleased to have a brand new tube to add to my stash! This baby is my staple in my skincare box. I use it just before bed at night, and first thing in the morning after I step out of the shower. It’s no-mess (ie. no need to get gunk on your fingers whilst applying), very very moisturizing, and not oily or slippery. 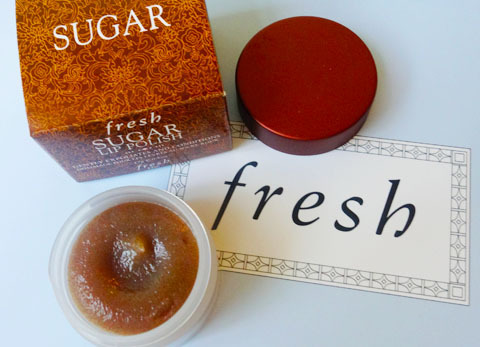 I already am an existing (and HUGE) fan of fresh Sugar Lip Treatments. I’ve owned every colour out there, and have gone through tube after tube in the past….. ten years? Or more? I do use other tinted lip balms, but these are the ones I always end up returning to, and the ones I always have on hand in my lipbalm box. 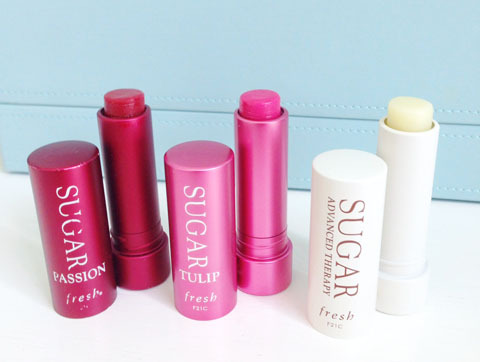 fresh have launched a new colour – the Sugar Lip Treatment in TULIP. If you’re into cheery girly pinks, this is it. For this reason, it is my fave alongside PASSION (a deep red). Tulip works better for casual everyday wear – packing excellent colour saturation combined with a smooth, moisturizing texture. Moving on to skincare, the fresh Soy Face Cleanser is actually my second tube. I’ve used a tube before, which lasted months and months. The texture of the cleanser is gel, squeezing out easily from the slim tube. It doesn’t foam much, but applies more like a milk. Often, cleansers like that tend to feel oily and slippery, and they don’t make my skin feel clean afterwards. This cleanser most definitely washes away clean, and my skin feels utterly clean and smooth, but not stripped or dry. I personally love using this extra-gentle face cleanser every morning, and have done so for the past few weeks, as I’m starting to get addicted to the delicate and soothing scent. I’ve also owned a fresh Sugar Lip Polish before, back in Australia when the dry winter air would do dreadful things to my lips. This was quite the saviour in giving my lips a very gentle exfoliation, whilst laying down oils and moisture so they don’t feel parched or sore afterwards. That said, the mask is gentle and soothing, and the rose petals (what those ‘bits’ are) smell divine! A wonderful product if you want to feel pampered, as this can be used daily – I apply and leave it on whilst I’m brushing my teeth, then wash it off afterwards when I’m having a shower. 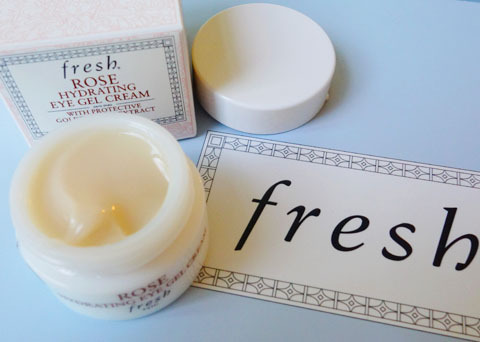 I’ve been using the fresh Rose Hydrating Eye Gel Cream at night before bed. It offers excellent hydration for my under-eye area, and hasn’t made the skin feel oily – thanks to the unique gel cream texture (you’ll know what I mean if you touch it). The gel cream smells of subtle roses and absorbs really quickly, so it will probably also work for day time use. I’m actually a big fan of the rose smell in their latest product range. It’s sweet but not cloying, it’s subtle, and smells so soothing and pampering. 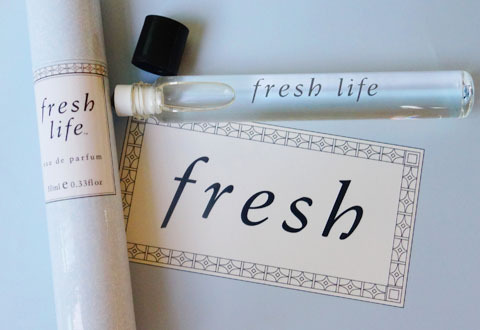 So they’ve released the fresh Life Eau de Parfum to complement the skincare range. 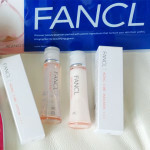 The fragrance is light and refreshing, and I like the practicality of the rollerball applicator. It’s great for travel! I own another fresh eau de parfum that comes in the full-size bottle, and I prefer this rollerball version. fresh products are currently available at Sephora boutiques around Singapore. Now you’ve made me lemming! I am a fan of the lip stuff. But the rose eye gel and mask sound so good! I really like those two products because they’re so soothing. But the mask is best for good skin already, like yours, because it doesn’t do anything magical like remove acne etc. 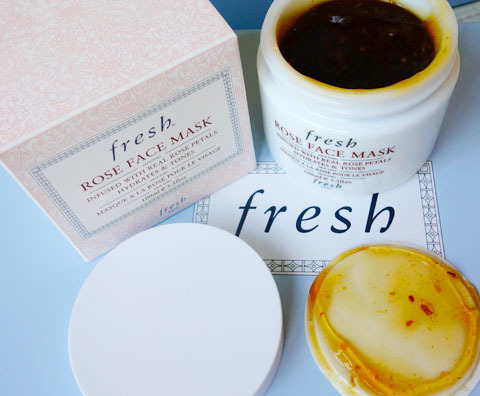 It’s just a very luxurious and soothing mask to use daily!